I created a new acct and when booking it autopopulated my IB# and name. Email receipt also has IB#. When I access the reservation the number is not there and doesn't let me add it because it says my names don't match. Is is this a concern or is everyone on the same boat? Should I call? 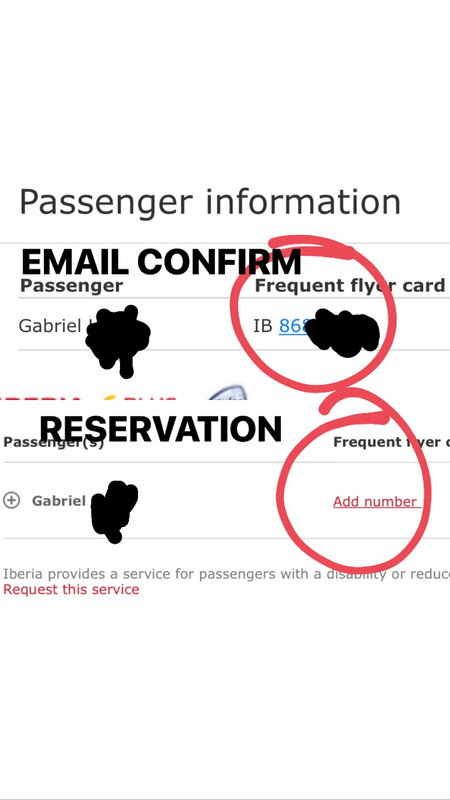 My Iberia Plus account has been opened for years now, so in my case my IB number shows on the email and in manage reservation. My wife created her account last night. In her case she sees the IB number in the email, and she can even see all her reservations while logged in, but when she goes to Manage Reservation the IB number is not there. She had to call the main number and asked to be transferred to the Avios department. They explained for new accounts it takes 48 hours for the names to be recognized, so they submit a request for each of the 10 bookings to be manually assigned the IB number. I suggest you call as well.